(NaturalNews) Censored and heavily redacted emails[PDF] from U.S. government scientists and officials reveal that there were major concerns among American policymakers shortly after the devastating Fukushima nuclear power plant disaster in March 2011 that there would be widespread radiological contamination and spikes in thyroid cancer rates. "I would like to raise another issue which now merits expeditious, near term action. There is a short time window... during which it will remain possible to... measure any I-131 that members of the public may have ingested," said an email sent to John Holdren, senior adviser to Pres. Obama on science and technology, Secretary of Energy Steven Chu, DOE/NRC officials, and others whose names were redacted on March 23, 2011, 12 days after the disaster on March 11, according to a recently released trove of email documents, per a Freedom of Information Act request. "Collecting this data... would be very valuable," said the email. Nuclear science experts were clearly concerned that radioactive fallout from the disaster would not merely spread to the U.S. West Coast but cause a spike in thyroid cancer rates there, as well – though none of those concerns were publicized by reports or expressed publicly by the Obama Administration at the time. Emails revealing, though heavily redacted – why? "Many cases of thyroid cancer, and other health problems, may end up being attributed to exposures from the Fukushima accident... on the U.S. west coast," said the email. "It is possible that we will find that some people have received doses of I-131 and other radionuclides that could exceed [emphasis added] the levels... Protective Action Guidelines are designed to prevent. This could provide a basis for immediate action to change PAG's," it added. "There are very strong reasons to gather data, but it must be done in a way that is broadly viewed as being in the interest of the public and the individuals involved," the email said. 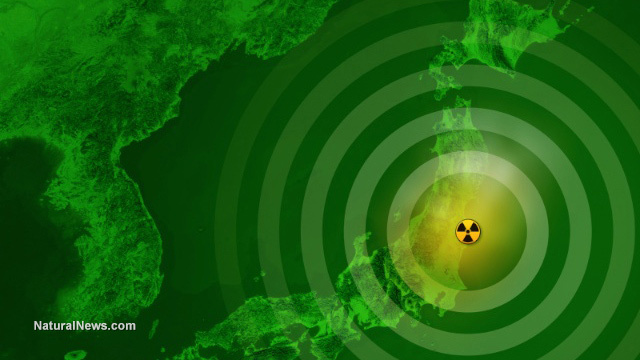 As Natural News reported in late May, an oversight committee looking at the health of people living within the Fukushima Prefecture of Japan near the stricken power facility found that the thyroid cancer rate in young people has leapt by an incredible 6,000 percent throughout the region since the disaster first occurred back in 2011. Further, reports indicate that, since January of this year, 16 new cases of thyroid cancer have emerged, bringing the total number of young people diagnosed with the disease to 103. Correspondingly, as many as 127 people have been diagnosed with or are suspected of having thyroid cancer, according to Japan's Asahi Shimbun newspaper. The mainstream media, however, is downplaying the dramatic increase, pretending as though bumps in thyroid cancer rates, especially among children living in the area, might actually have been caused by something else. A study by researchers in Fukushima prefecture found 57 minors in the prefecture have been diagnosed with thyroid cancer so far and another 46 are showing symptoms that suggest they may also have the disease. Japan is an ultra-modern society, just like America; if the U.S. knows what its overall cancer rates are, you can bet Japan does as well. But seriously – what else, realistically, would have caused the dramatic increase in thyroid cancer rates? "There is a possibility that early-stage cancer and small tumors were discovered because experienced doctors conducted thorough checkups using the newest machinery," said Chief Cabinet Secretary Yoshihide Suga at a news conference at the time, furthering the denial. We will keep you informed about this evolving story.